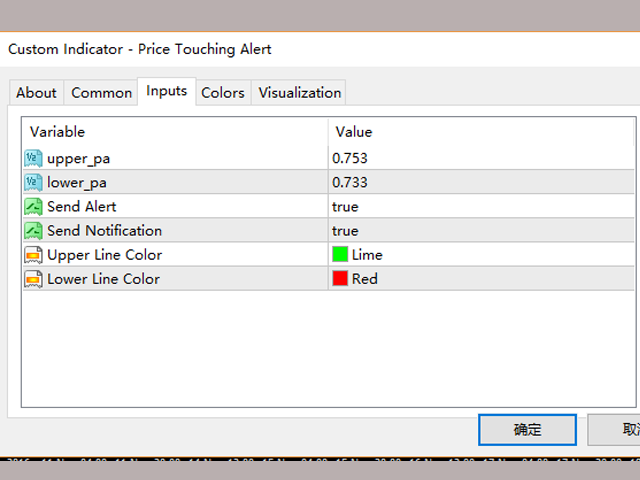 PA Touching Alert is a tool to free you from watching price to touch certain critical price levels all day alone. With this tool, you can set two price levels: upper price and lower price, which should be greater than/less than the current price respectively. Then once price touches the upper price or lower price, alert and/or notification would be sent out to attract you for trading action. Of course, the upper price and lower price should be set at critical resistance and support levels, such as daily open, pivot support, pivot resistance, etc. The tool is simple yet useful and helpful. Any feedback and suggestions are appreciated. the indicator deletes any other objects (lines, rectangles, labels etc.) if you switch to another time frame.